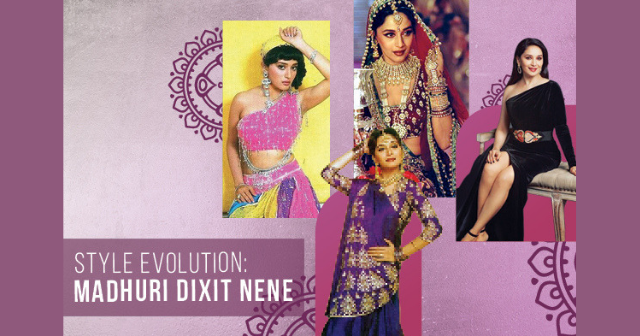 As a true Bollywood icon, Madhuri Dixit Nene holds a special place in all our hearts. Her million dollar smile, unparalleled grace, and acting prowess have won over countless audiences. 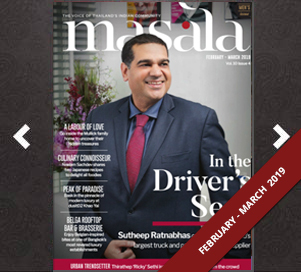 Join Masala as we pay tribute to this multitalented megastar by recapping some of her most memorable moments ahead of her appearance in Kalank (2019). It is universally recognised that Madhuri’s role in Hum Aapke Hain Koun…! (1994) is one of her career highlights. Not only was she charming and funny as Nisha, but her sartorial selections put her at the top of her fashion game. 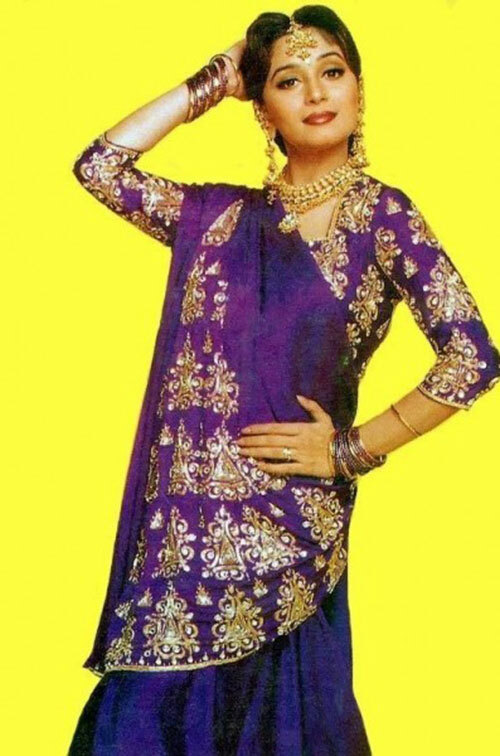 In the song “Didi Tera Devar Deewana,” she was radiant in a jewel-studded purple satin sari complete with floral embellishments. This outfit became so iconic, that for a long time, women all over the world were rushing to their stylists and tailors to emulate her look. It takes a lot to compete against Aishwarya Rai Bachchan, but all eyes were on Madhuri and her award-winning costumes in Devdas (2002). As striking courtesan Chandramukhi, Madhuri was draped in many intricate ethnic outfits that included this maroon lehenga with gold embroidery by Abu Jani Sandeep Khosla. Although the outfit weighed over 30kg, Madhuri danced to “Kaahe Chhed Mohe” with so much charisma that most moviegoers couldn’t even tell how heavy her ensemble was (we certainly couldn’t). At the Lux Golden Rose Awards in 2017, Madhuri once again showcased her evergreen appeal in a one-shoulder black gown with a thigh-high slit by couturier Mark Bumgarner, paired with a funky belt from Etro. As we often see the actress don ethnic wear, it was refreshing to see her rock the red carpet in an elegant western silhouette. She completed the look with a sleek hairdo, rosy makeup and tasteful jewellery from Aurelle by Leshna Shah.